Having 3 boys, 2 in school, and working full time I often catch myself running out the door in the morning with no breakfast, lunch or the most important thing... coffee. Especially when I forgot to make it. I do not like instant coffee because it leaves such a bitter after taste in my mouth. Plus, you have to use what seems like boiling water and then you have to wait to drink it. So it really defeats the purpose of "instant" coffee. Egoistic Noir is none of those things. When I received the Egoistic Noir I ended up taking it to work with me because, imagine this... I didn't have time to make instant coffee. I tried it with hot tap water, thinking I was gonna end up tossing this cup, and it dissolved perfectly. I have to have milk and sugar in my coffee. There was no milk, only sugar. I tried it black first. It wasn't bad and it left no bitter after taste in my mouth. I put sugar in and it was perfect! I'm not one that drinks the coffee for the caffeine but, because I like the warmth of the coffee in the morning. 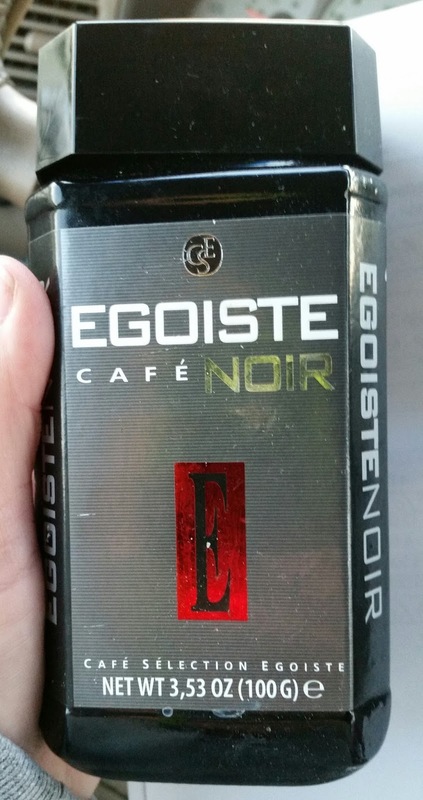 I ended up having 2 cups of the Egoiste Noir coffee that morning and never felt like I drank 2 cups of coffee. 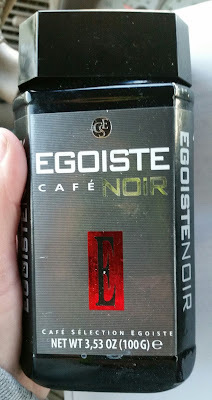 It does not take much of the Egoiste Noir to make a cup like other instant coffee does so I still have a lot left. Needless to say, I end up having 1-3 cups a week, because I'm running late and this is one instant coffee I don't mind relying on. This coffee would make a great stocking stuffers and gifts for co-workers and any other coffee lovers you know. Oh, I would definitely keep this coffee. Monster books. I know I love Jill Esbaum's book with Elwood the monster. I would keep the coffee! I think I would keep this for me for those mornings when I need an extra pick me up and there's no coffee pot around at work! Keep!! I love coffee, the easier the better!